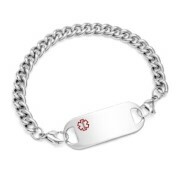 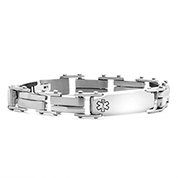 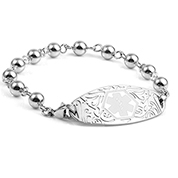 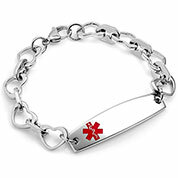 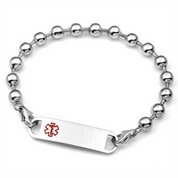 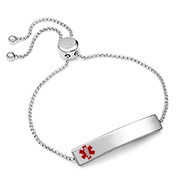 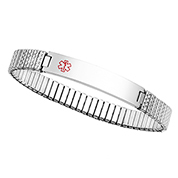 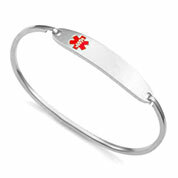 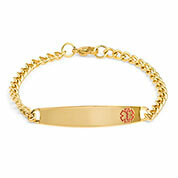 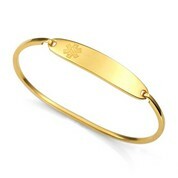 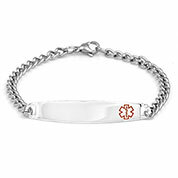 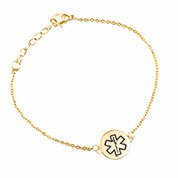 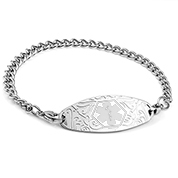 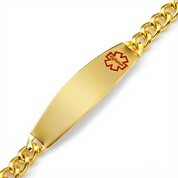 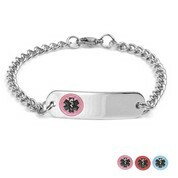 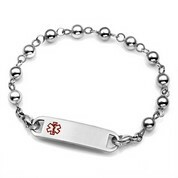 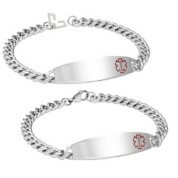 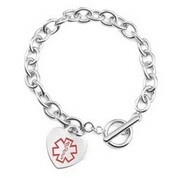 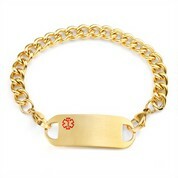 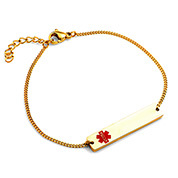 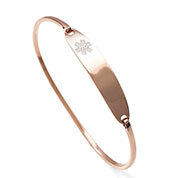 Our surgical grade stainless steel medical bracelets are resistant to corrosion, durable and quite stylish. 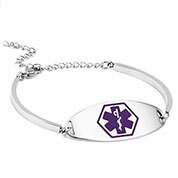 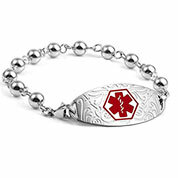 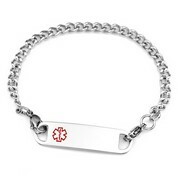 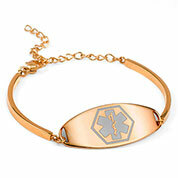 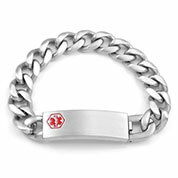 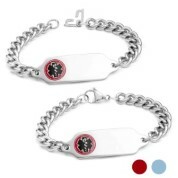 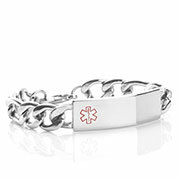 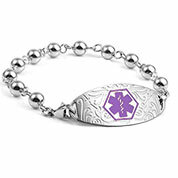 Stainless steel medical ID bracelets are, in our opinion, the most durable and scratch resistant IDs on the market. 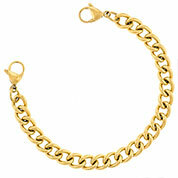 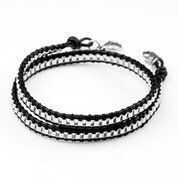 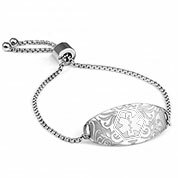 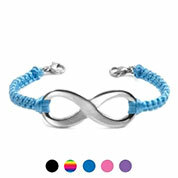 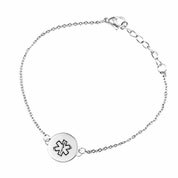 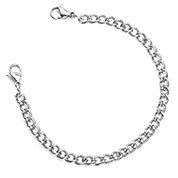 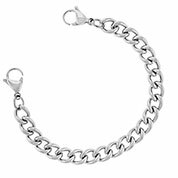 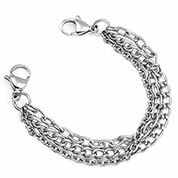 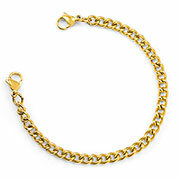 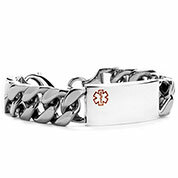 Because of the durability of stainless steel, small pieces such as clasps and chain links are much less likely to break making them the ideal bracelet if you live an active lifestyle. 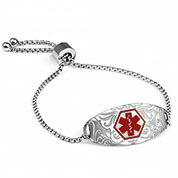 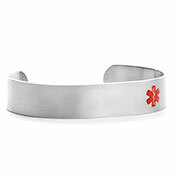 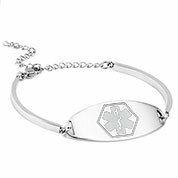 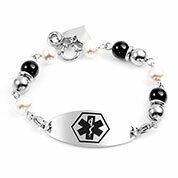 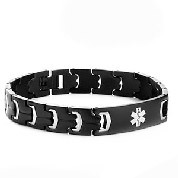 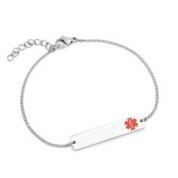 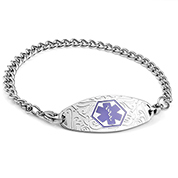 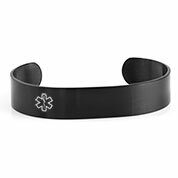 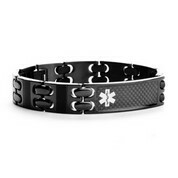 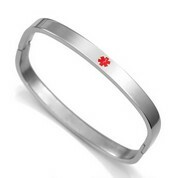 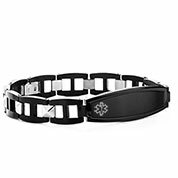 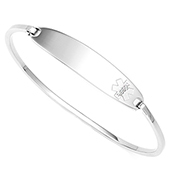 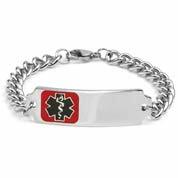 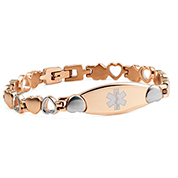 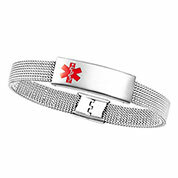 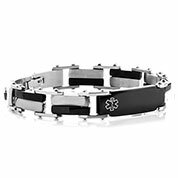 Your medical information is engraved with our top of the line laser machines which leave a black easy to read marking on your new stainless steel medical alert bracelet.